We offer a variety of tillers for gardens of all sizes. 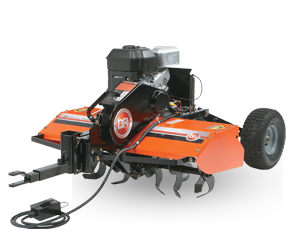 Our Walk-Behind models include our Mini-Tiller for small plots (or for cultivating between rows in a bigger garden) as well as Front- and Rear-Tine tillers. 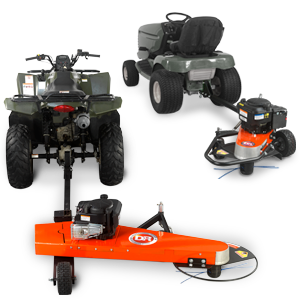 For bigger plots, our tow-behind models tow behind your ATV or garden tractor, letting you till 3′ wide…while you ride! Powered Actuator raises and lowers the wheels, which raise and lower the tines. 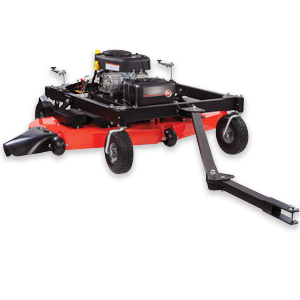 Remote Control allows you to make precise adjustments to your tilling depth without leaving your towing vehicle. Forged of tough tempered steel, the bolo tines spin at over 230 rpm to dig up to 7-1/2" deep and mix soil completely. 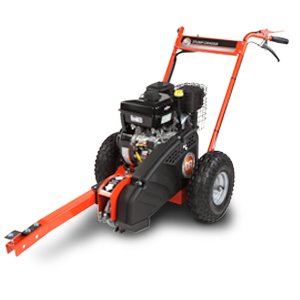 Belt-Drive System transfers full power from the engine to the tines. Shear pins on the tine shaft are designed to protect the engine and engine shaft from damage. SMOOTH-TRAKª Hitch absorbs shocks and jolts so that minimal forward motion from the tiller is transmitted to the towing vehicle for smoother and easier operation. 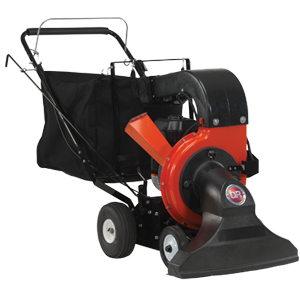 Extra Heavy-Duty Steel Frame is built to last under punishing conditions. Made of 1-1/2"square tubing and 12-gauge steel. Baked on powder coat finish resists corrosion. Transport Tires make for easy rolling during transport.